Indian spiritual guru and yoga adept Swami Satchidananda once said that enlightenment is not some fantastic event, but rather it is an ease we feel when we have stepped out of the murk of the personality and into the light of God. This ease comes because the contracted aspect of onsciousness we know as “I” has been downregulated. This frees us to live in the world without being a prisoner to our personality’s perception of the world. We see things as they truly are without labeling or naming the experience and what we are experiencing. It is definitely beneficial to practice an art of spiritual cultivation, such as hatha yoga, t’ai chi, or a monastic lifestyle, but eventually you need to walk Zen in life, to live the purpose of a spiritual practice. To be Zen in life is not just about meditation, but instead life has become meditation, in the sense that our illusory perceptions of separation have disappeared, allowing us to experience the nondual, innate beauty of all life. Fasting the mind is about starving the mind from the habitual comforts that tend to distract us from enlightenment. If you are constantly on a digital device, phone, computer, television, etc., there is no chance for your mind to reach equanimity. For example, how many of you have been on a digital device before bed and then toss and turn for hours? In recent times our sleeping patterns are out of sync, and insomnia is on the rise as a result of too much digital stimulation. In Chinese Taoism you are out of sync with nature’s rhythm when you are engaged in yang (masculine/active) activities at night because nighttime is for yin (feminine/receptive) energy, for rest and shutting down sense activity. If you engage in yang activities at night your mind becomes agitated and ready for action because it thinks it is the beginning of the day when yang is naturally high. 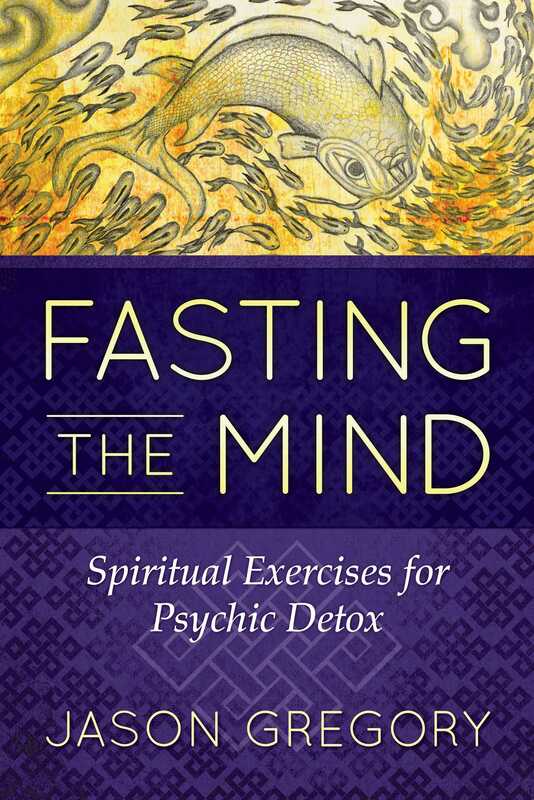 Methods of countering digital bombardment are necessary components of fasting the mind. One such method is “digital sunsets.” Digital sunset was a phrase coined by American philosopher and optimal life coach Brian Johnson. When 6 p.m., or even better 5 p.m., comes around all devices are shut down. This method reminds us of the importance of talking to each other face to face, eye to eye, and is also about following our biological nature. Scientific research has revealed that the pineal gland, a pea-size organ in the brain commonly associated with our spiritual soul, begins to release melatonin a few hours before your regular bedtime, which reduces your alertness and makes sleep more inviting. But the blue light in digital devices can keep the pineal gland from releasing melatonin and ultimately mess with our sleep patterns. Many of the mental diseases and cultural problems in the world have arisen from consuming mental complexity and identifying with its contents. By becoming conscious of what we consume, we simplify our lives. Our personality needs to be downregulated, and this can be achieved in the everyday discipline of simplifying our habits and lifestyle. There are four essential components for manifesting a masterpiece day: meditation, exercise, healthy diet, and adequate rest--in no particular order. These four fundamentals should be evenly distributed, not in time, but in energy as all four require different amounts of energy. We should not overcompensate for one at the expense of another. This is done far too often by most people, especially in regard to rest. Most people live an excessively active life but do not get adequate rest, which leads to all sorts of psychological problems. Without adequate rest the three remaining fundamentals suffer. It is essential to let our nervous system completely shut down every day for at least seven, preferably eight, hours to function at an optimal level of well-being. If we do consistently get adequate rest, our life becomes extremely vibrant as we tap into an unbridled enthusiasm for anything life offers, enhancing our productivity naturally in a nonegotistical manner. Sleep is the power base for the other three fundamentals. If we consistently get enough sleep, our meditation practice becomes deeper and more vivid, with the ability to silence the mind for longer periods of time, and we have more energy for consistent exercise routines as well as more enthusiasm for eating healthy food regularly.